Infrastructure and politics coupled with claims of racism on the part of the CBC have been mixed into a brew that has led to charges that a Saskatchewan-based company, Brightenview Development International Inc., has been defamed by Canada’s national broadcaster, according to a Statement of Claim filed in Regina court. Brightenview finds itself at the confluence of two seismic political shifts. One is China asserting itself on the global stage, looking to fill any vacuum left by America’s shift toward thinking inwardly, and filling it, not with cultural exports such as Hollywood films and CNN, but rather, China’s tool of choice is infrastructure designed to foster trade with them. The second force is Saskatchewan’s decision to build on its long-standing ties to China by embracing the infrastructure enticement with the creation of the Global Transportation Hub. Included in the GTH is something called a Foreign Trade Zone, a unique Canadian structure that pairs wonderfully with Foreign Trade Zones in China and its far-reaching One Belt, One Road initiative. If you haven’t heard of that one just Google it…you’ll be amazed you’ve not heard coverage of what is the biggest infrastructure investment on Planet Earth. Saskatchewan – in the centre of Western Canada – is uniquely positioned to become a landing and departure spot for Chinese goods destined for markets throughout North America. Blessed with infrastructure assets such as the CP Mainline, Trans-Canada Highway, Soo Line (the primary Western Canadian rail link to the US running from Moose Jaw-Regina Industrial Corridor to Minneapolis and Chicago) and the Highway 6/39 corridor poised to be twinned, the GTH is central to a regional base that an internationally-recognized consulting firm once placed in the Top 5 industrial development opportunities on the planet. Successive governments in Saskatchewan have shared the view that the Industrial corridor and the GTH represent a distinct opportunity. With them Saskatchewan can assert itself as a player in the world of global commerce, shipping and receiving all manner of goods and distributing them east, west or south through North America or shipping them on to Asia for further distribution. One company that recognized the potential of being able to facilitate trade and commerce between China and North America was Brightenview Development International. Originally the company looked to establish its Global Trade Exposition Centre (GTEC) outside Saskatoon but soon recognized the infrastructure offered by GTH more closely met its needs. The company is presently constructing the first phase of its GTEC project, a mechanism that will give Chinese companies a place to showcase their goods to North American buyers as well as aiding Saskatchewan companies looking to sell to Asia. 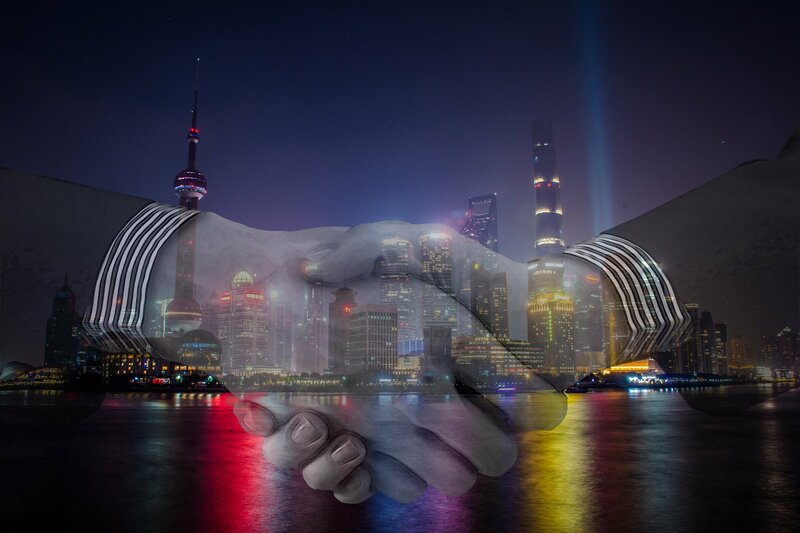 GTEC helps Saskatchewan by providing small and medium-sized businesses the first real mechanism for addressing the massive Chinese market and deepens its relationship with the Asian market generally, and more specifically with Chinese consumers. Construction began last summer on the 80,000-square foot GTEC facility that will be home to 120 Asian wholesale distributors who will use GTEC and its services to reach the North American market. GTEC also offers services to Saskatchewan business selling into Asia. While the evolution of the GTEC project has not been perfect – it has had its starts and stops in the past five years – this should be a Saskatchewan success story. Nonetheless, these forward-thinking business moves have proven to be fodder for the CBC and its investigative journalist Geoff Leo. Both were pursuing stories about GTH, presumably in search of a political scandal regarding government land purchases. Stories CBC generated fostered the sniff of scandal, but others in the media have tended to shy away from the story. They’ve chosen to wait for a police investigation into the GTH land purchases to run its course. Brightenview is little more than collateral damage in a bigger story, caught in the middle of a political battle about the forces of economic progress versus those opposed to new ideas or change, and it has chosen to fight back. The company has been busy investing in Saskatchewan, promoting our economy and its opportunities abroad and attracting investors to the province despite the country’s national broadcaster directing its attention to stopping those efforts. NAFTA’s future is uncertain, raising concerns for Saskatchewan which exports 70 per cent of its production. Our largest trading partner is the U.S. and China is number two. It would be an understatement to say that Saskatchewan has an interest in selling more to China. Diversifying into other markets strengthens Saskatchewan, creating jobs and opportunities in our province, and China is a market with great potential. China’s economy is growing, especially the size of its middle class. Ernst and Young is forecasting that by 2030 around one billion people in China could be middle class — as much as 70 per cent of its projected population. Those moving into the middle class have higher expectations for food (higher quality diet, especially protein) and will have the purchasing power to buy what they want. Saskatchewan has what China wants. Saskatchewan has seen the value of exports to China grow by 530 per cent in the last ten years. Canola, peas, potash and soybeans are just some of the products making up the $3.2 billion sold to China in 2016. The GTH at Regina has one of Canada’s few Foreign Trade Zones, similar to Free Trade Zones in China. China represents an important element of our future economic prosperity.